What it is: Ultra-lavish shampoo delicately removes residue and impurities with unprecedented hydration and anti-aging benefits. What it does: Protects and repairs hair and scalp from the damaging effects of the elements (sun, wind, salt and chlorinated water). Precious oils and botanical extracts are fused with revolutionary biotechnology to deeply penetrate with a potent cocktail of antioxidants, proteins, peptides and amino acids to repair hair from the inside out. High antioxidant activity defends hair and scalp from oxidative stress and the deterioration of natural keratin. Who it’s for: All hair types. Ideal for those exposed to extreme environmental conditions and/or overexposed to the elements. What it’s free of: Formulated without Sulfates, Parabens, Mineral Oils, Phthalates, Paraffin or Petrolatum. Apply the highly concentrated cleansing balm to wet hair and scalp. Massage gently to create a luscious lather. Add more water if necessary. Leave on for 2-5 minutes. For an added hydration mask, leave on for 5-10 minutes. Rinse thoroughly. 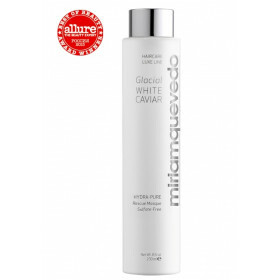 Follow with Glacial White Caviar Resort Leave-in Conditioner. White Caviar Oil: Precious Oil. One of nature’s best kept cosmetic secrets due to its richness in amino acids, proteins, essential fatty acids, trace elements and peptides. 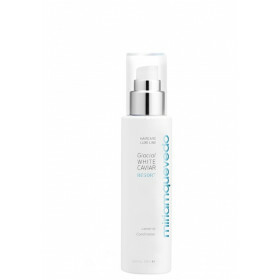 Creates a unique anti-aging lipo-protein complex, with powerful repairing, regenerative and protective properties. Camellia Oil: Rich in vitamins A, B, E, D and trace elements. High antioxidant activity helps restore elasticity and softness. Organic Baobab Oil: High antioxidant activity. Contains strong regenerating, soothing, conditioning, repairing and anti-inflammatory properties. Sweet Almond Oil: Rich in palmitic, stearic, oleic and linoleic acids, to help nourish and soften hair. 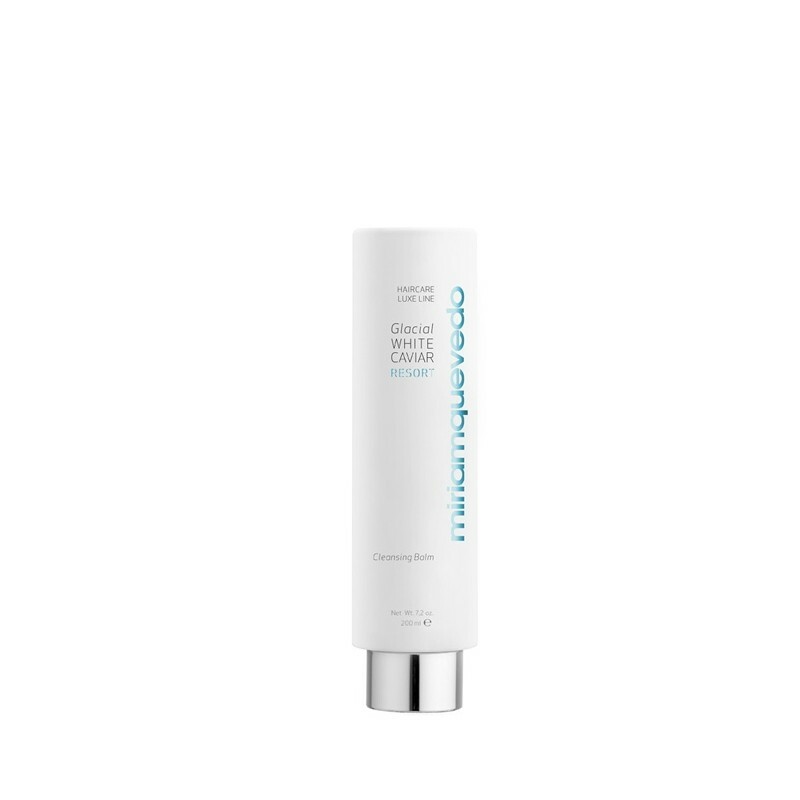 Encapsulated Swiss Glacial Water: Allows active ingredients to deeply penetrate the skin, increases cell resilience and survival at high temperatures. 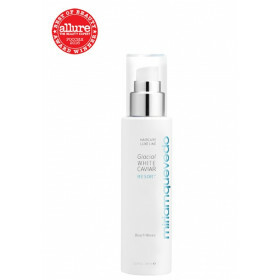 Protects from thermal aging and replenishes and maintains pure and continuous hydration. Keratin Protection & Rebuilding System: Rebuilds and repairs keratin, while maintaining the natural structure of hair fibers. Acts as a macro-thermal protector to prevent heat damage. Hyaluronic Acid Fraction: Unique combination of thousands of molecular weights mimic the hyaluronic acid found naturally in our skin. Draws water to hair creating a plumping effect. Acts as a membrane to prevent moisture loss from the scalp. High moisturizing power. Adds shine, increases elasticity and forms a protective film. Damage Repair Complex: Repairs damaged hair and scalp. 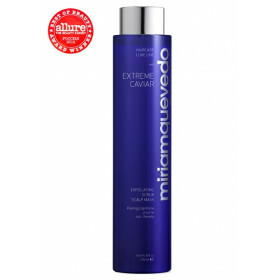 Improves hair ́s strength, thickness and water content. Provides texture and body to hair. Complex of organic Edelweiss, Rice and Cotton flower extracts: High antioxidant activity. Natural photo-protector with anti-inflammatory and anti-bacterial properties. Hair color protector. Scalp Hydrating and Calming Complex (Xylitol and Lactitol): Combats dryness, flaking and irritation. Immediate and long-lasting hydration. Regulates the flaking process and strengthens the cutaneous barrier. Betaine Amino-Acid: Essential for maintaining skin’s natural water balance, retaining up to 40% of water. Provides comfort, reduces irritation and protects the scalp. Panthenol: Provitamin B5 protects, moisturizes, softens and brightens hair. Blend of tensio-actives derived from plants: Facilitates the retention of hair color and enhances shine.